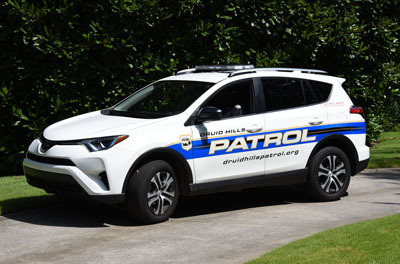 The Druid Hills Patrol was founded more than 27 years ago by group of neighbors concerned about a spike of serious crime in the neighborhood. 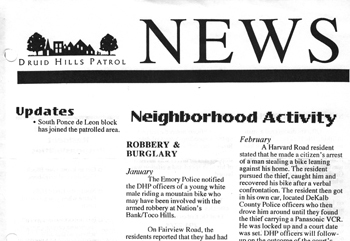 At that time, there had been 10 break-ins on Lullwater Road in a single weekend. 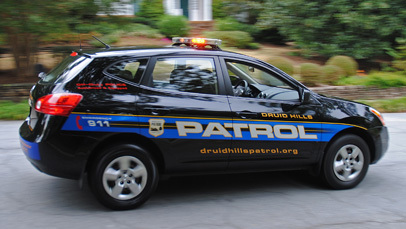 Even worse, a woman had been raped in her Druid Hills home. 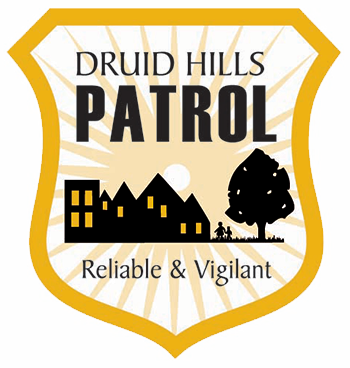 The small group formed a neighborhood watch, and, after completing some initial research, discovered that Druid Hills was one of the few in-town neighborhoods that had not implemented a private security patrol. The group chose to hire off-duty police officers rather than a private security firm, despite the higher cost and management effort. They reasoned that bona fide police officers would offer more effective protection because law enforcement professionals are specially trained, equipped and authorized to prevent crime and enforce the law. DHP officers initially patrolled in their personal vehicles, using magnetic door signs to identify them as the Patrol. 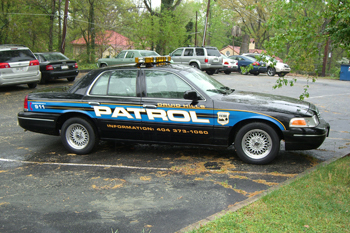 In 2007, the Patrol purchased a used Ford Crown Victoria to convey a more professional, law enforcement identity. That same year, the DHP needed to replace the officer team. DHP’s then-president, John Paddock, consulted with APD Major Wayne Mock for help in recruiting a new Officer-in-Charge. 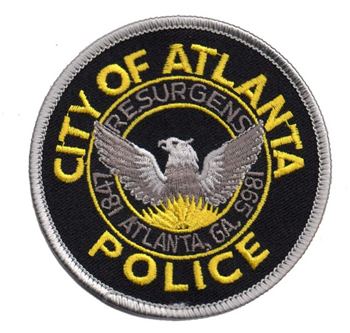 Tony Singh, then a Sargent but now a Lieutenant with the Atlanta Police Department, was selected as the Officer-in-Charge. 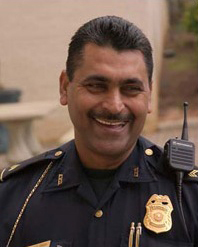 Singh had been honored by the APD in 2006 as the department’s “Supervisor of the Year.” He recruited and trained a new team of experienced, dedicated officers from both the Atlanta Police Department and the DeKalb County Police Department. In 2008, Paddock engineered a technological revolution for the organization. 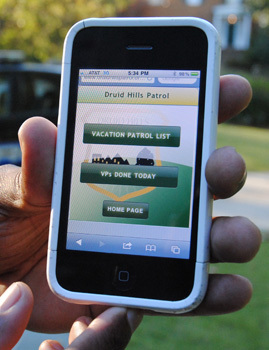 He guided the development of DHP’s interactive website and updated the system to smartphone technology so that officers could easily access assignments for their patrol shifts and member contact information. This greatly improved communications and increased service and accountability to the membership. Later, in 2009, the DHP purchased a Nissan Rogue. This vehicle never left the Atlanta area but boasted 101,000 miles when it was retired in 2018. The current DHP vehicle, a 2018 Toyota RAV4, is easy to spot. Its emergency lights, police horn and megaphone are useful when officers approach suspicious persons or provide safety at emergencies. 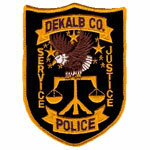 Today, the DHP employs a total of six officers, from both the DeKalb and Atlanta Police departments.